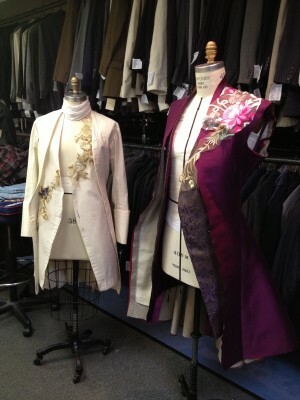 A great deal of time is spent getting the detail work just right on the elegant costumes of The Metromaniacs. 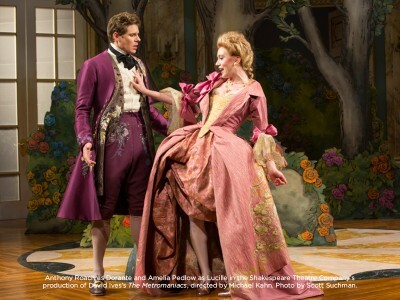 Here, Costume Designer Murell Horton and Draper Randall Exton discuss trim placement on the muslin mock-up for “Dorante’s” jacket and study trim options. 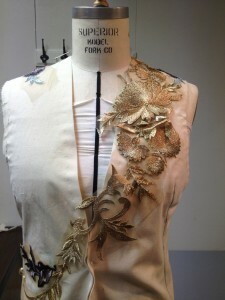 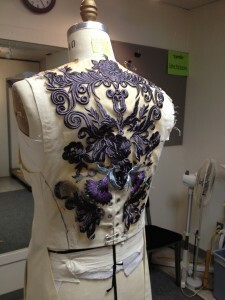 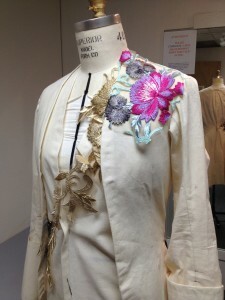 Different trim placements are tested on the mock-up waistcoat and coat, and then on the real fabric pieces. 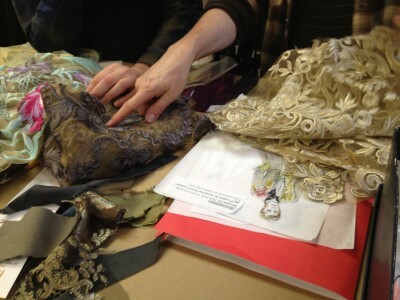 Many of the patterns on the costumes were created through silk screening. 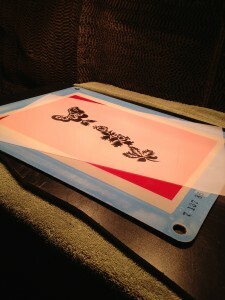 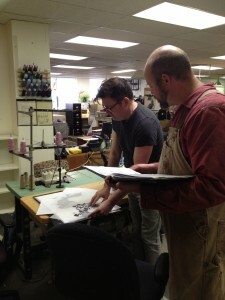 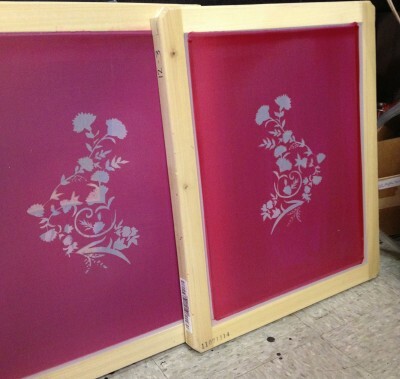 Murell discusses silk screen options with Josh Kelley, Lead Crafts Artisan, who creates the screens. 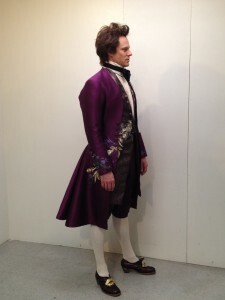 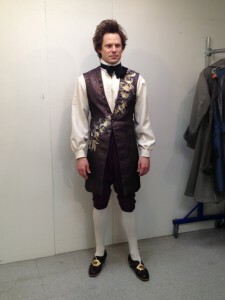 Actor Anthony Roach has a final fitting in his “Dorante” costume. 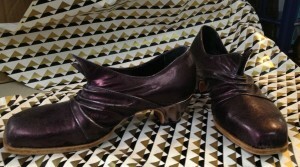 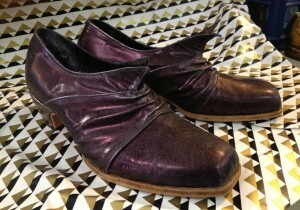 To complete the look, custom made shoes were commissioned for several of the actors. 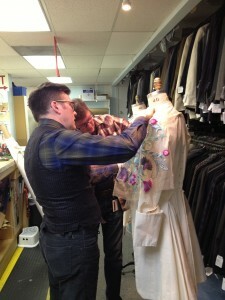 A big thank you to Sandra and everyone in our costume shop for making this backstage series possible! 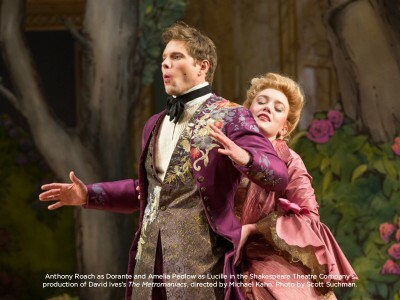 The Metromaniacs plays thruogh March 8 in the Lansburgh Theatre.